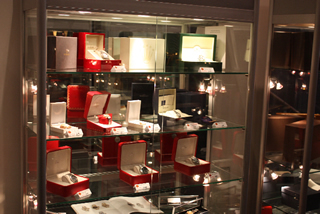 Although we do buy your jewellery, collectibles, art and antiques for cash, sometimes our clients preference is to keep these valuable because they want to wear or use them down the road, or because they carry sentimental value as a precious heirloom. Therefore, if you have the desire to keep your items and but the need for finances now, it is very easy to borrow the funds you need against your valuables. Give us a call for some helpful information - we offer free step-by-step instructions on how to get the most amount of money for your valuables. You are in charge from start to finish. Getting a loan from Mr Money is simple, no-stress process. To begin with, you can call us to schedule a time-slot that works best for you. Upon arriving, a helpful staff member will meet with you to discuss how much your loan amount will be - this will depend on how much your collateral is worth and how much you need. The next step is the appraisal. Your jewellery, collectibles, art and antique's will be asessed for value. We then come to an agreement on how much the loan amount will be, based on the appraisal of your valuables. Mr Money offers loans of nearly any amount, in particular large loan amounts are offered if there is enough collateral in your valuables. 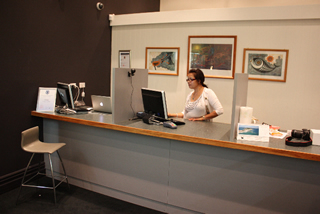 The final stage involves our staff giving you some time to consider your loan agreement, most of the wording is based oround the NZLTA guidelines, so it's fairly simple and straight forward.Once you have authorised the loan agreement, we will write you a cheque for the agreed amount, or if you prefer we can give you cash. Fortunately, there are no up-front fees that need to come out of your pocket so you go home with the full loan amount! In case you're wondering what happens to your valuables while their in our hands, there's no need to worry. We will them in the safekeeping of a vault of a nearby bank. That way, when you would like to have your items back, all you need to do is give us a call and let us know. Once the loan has been repaid, your valuables will be returned to you. Alternatively, if you are happy for us to continue looking after your valuables then you can pay the interest and your loan and it will renewed for a further 3 months.